The path to migraine relief is one solid highway of trial and error, though there sure are twists and turns. At the best of times, you feel hopeful about possible new solutions for migraines; at the worst of times, you feel like a guinea pig, at the mercy of specialists and researchers trying to figure out the migraine problem for scientific advancement, not for your particular comfort. 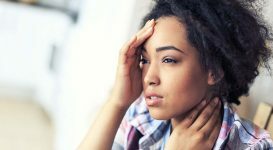 Unfortunately, until you find the right recipe for your migraine symptoms, you’re bound to feel helpless and uncertain at times. On the other hand, you don’t have to feel like a lab rat day in and day out – build your knowledge, know your options, and stand your ground to gain confidence and control as you move through treatment. 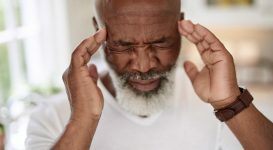 Nerve stimulation for migraine relief has been around for at least a decade, but is still considered a relatively new innovation with many unknowns. Your doctor may have determined that you would be a good candidate for the surgical procedure, which is both promising and a bit nerve-wracking. The nerve stimulator implant is often seen as a last ditch effort in the fight for pain relief, so there’s a lot riding on its performance. 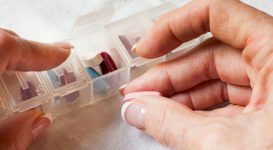 Doctors may bill it as the best treatment choice, and patients may feel obliged to inflate their reports if it’s not working as well as they had hoped. Ultimately, those who receive an occipital nerve stimulator can feel like guinea pigs, and experience an increasing sense of helplessness and worry in the weeks, months and years to come. An occipital nerve stimulator is likely not your only hope. Migraines are notoriously mysterious afflictions, and it’s quite true that they can be extremely difficult to treat. 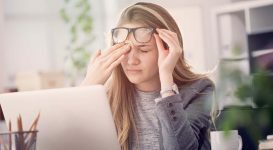 However, since migraine symptoms vary from person to person, so can effective treatment: discuss with your neurologist, other doctors, and different sorts of medical therapists about any other possible solutions for migraines out there that could provide relief. The more experts you speak with, the more potential solutions you’re bound to hear. Side effects are important to consider. You cannot make an educated decision without all the facts, and that includes what’s involved in life after the surgery. Ask plenty of questions about your statistical chances of experience side effects, what happens if the device slips or fails, and what the outlook is for someone like you. In fact, find other patients who have had the surgery, and formulate a comprehensive list of questions based on your concerns and their experience. 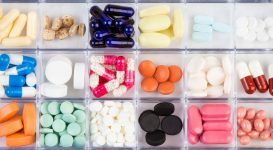 If you participate in a trial, visit a cutting-edge clinic, or try a brand new treatment, you may find that you’re treated like a number or a generic test subject instead of a unique patient with unique needs. Remember, you’re not married to your neurologist – if you feel that they’re no longer looking after your needs properly, find someone else who is trustworthy and conscientious. After all, you’re still in control of your own responses and decisions, and if your illness is interfering with your ability to stand up for yourself, get someone to advocate on your behalf. It’s vital that you continue to take an active role in wherever you can in order to feel confident, independent and competent in your life.